Your gear knob is the one component that you spend all of your driving time interacting with; don’t settle for the factory’s idea of perfection! 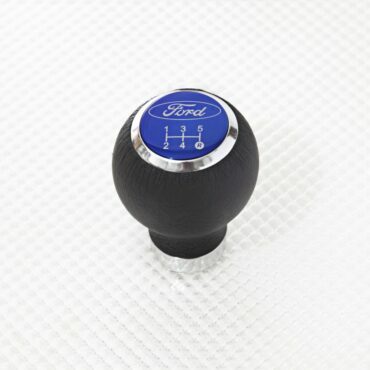 With its ergonomic ball shape design and fine Italian Durasoft leather finish, the Ford Leather Gear Knob offers maximum grip and comfort. Supplied with a choice of two shift pattern inserts so you can tailor your gear knob to your exact specification. Please note, 6 speed reverse top left is not included with this gear knob but is available on request. 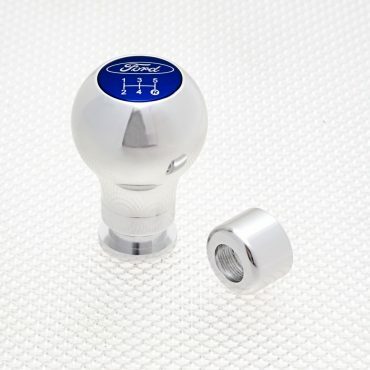 With its ergonomic ball shape design and chromed aluminium finish, the Ford Gear Knob offers maximum grip and comfort. Your gear knob is the one component that you spend all of your driving time interacting with; don’t settle for the factory’s idea of perfection! 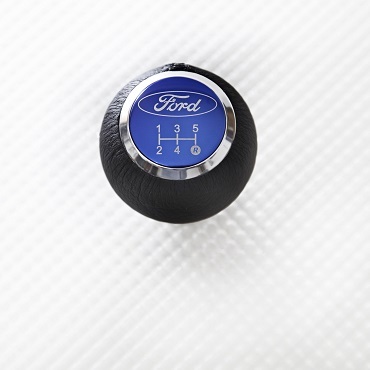 Supplied with a choice of two shift pattern inserts so you can tailor your gear knob to your exact specification!